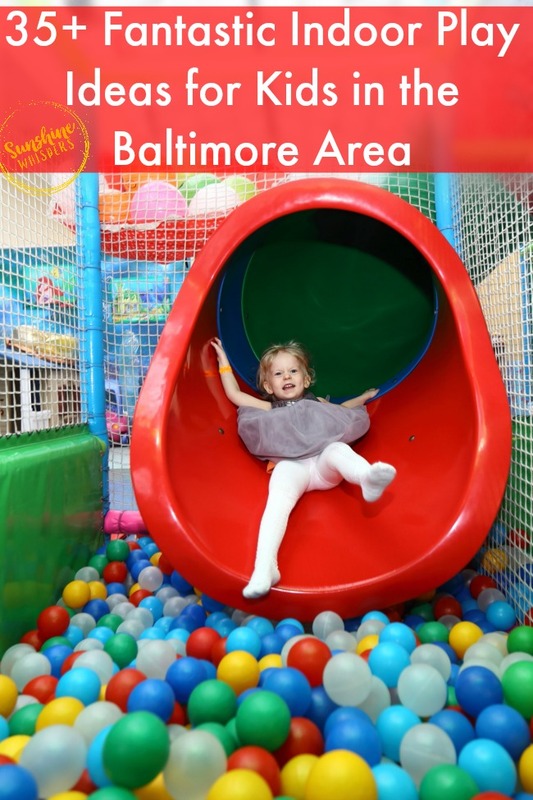 When the weather is horrible outside, come play at these top Indoor Play Areas for Kids in Baltimore and have a boatload of family fun! Updated for Winter 2019! Baby, it’s cold outside! Ok, maybe it hasn’t been that cold this year. However, at some point the weather will likely become gross and you and your kids will not want to play outside. Wouldn’t it be great to have a go-to list of play options that both you and your kids will love? Well, lucky for you, there are so many great options for indoor fun when the weather is too cold, rainy, or even hot. Sweet Pea and I have been to many of these places and we can recommend all of them. So, don’t let the weather get you down. Go forth and have a blast with these indoor play ideas for Fun Things to Do With Kids in Maryland. Note: The hours vary between weekend and weekday play times. I tried to note if there was a significant difference for weekend play times. Storyville– The Baltimore County Public Library has two branches of this amazing children’s library, one in Woodlawn and the other is Rosedale. If your child is under 5 years old, you have to check out Storyville. Your kids could easily spend a few hours playing here. Check out my blog post about our experience here. Be With Me Playseum– New! A new location opened in Annapolis in late fall 2018. Here is my review of this amazing play space! The original location of the Playseum is in Bethesda, this children’s museum is billed as a place where ‘kids create and parents relate.’ There are numerous city shop rooms where kids can get involved with hands on activities (some with additional fees) like decorating a cupcake, paint on a plexi-glass wall, or get a kid manicure. Also, the Playseum boasts one of the best Storytelling hours in the area. Play ‘N Learn Playground Superstores– There are two locations for this indoor playground showroom. However, at the one in Columbia, MD, kids can play for up to 2 hours on the weekends for $8. You can read about our experience here. This is a great option for burning energy on a rainy day. Port Discovery– Talk about bringing out the big guns. It is hard to beat Port Discovery for best indoor play venues in the area. This year, Port Discovery is undergoing major renovations. Kidworks has gone away but construction has begun on two amazing new play exhibits! 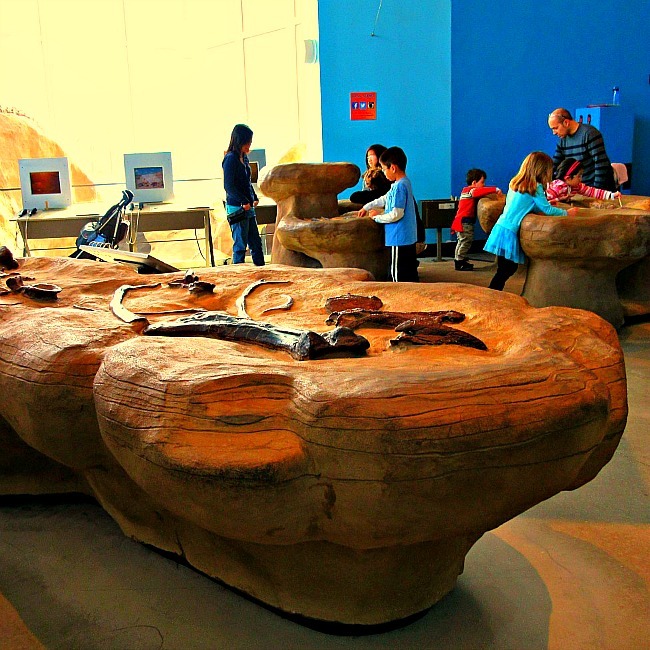 Port Discovery is consistently rated as one of the best children’s museums in the nation. You can read my review of the museum here. Maryland Science Center– Not to be overshadowed by its neighbor down the road (Port Discovery), the Maryland Science Center is one of the two ‘crown jewels’ of the Inner Harbor in Baltimore. You can read my review here. However, the bottom line is that I hesitated going to the Science Center because I thought it wasn’t age appropriate. Boy was I wrong. This museum can easily entertain a preschooler for an entire day. There is an area especially for young children, a planetarium that shows kid-friendly shows, and many other great, interactive exhibits. 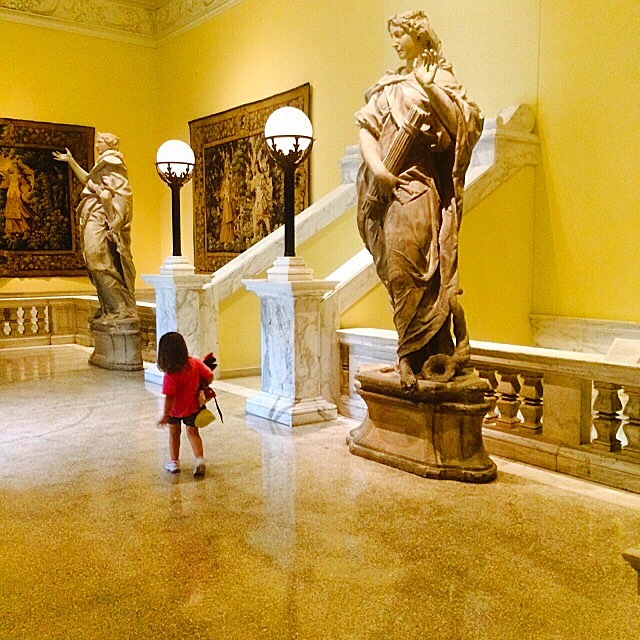 Walter’s Art Museum– Are you intimidated by the idea of bringing your child to an art museum? Well, the Walters Art Museum in Baltimore makes it an easy choice. Not only is the museum free (so, no big investment), but on the weekends, they host Drop-in Art Activities for Children, where kids can create art. Additionally, most weekends the museum hold ArtKids Preschool programs that feature an interactive art, storytime, and hands-on session. American Visionary Art Museum– Speaking of kid-friendly art museums, AVAM is quirky and fun for kids of all ages (there is actually an exhibit where kids can push a fart button.. no lie). However, on select weekends this season, they will host Weekend Walk-In, a hands-on art exhibit where you get to make (and keep) art. Check back on their website for details. Baltimore Museum of Art– This art museum in the heart of Baltimore really tries to cater to families. There is a family audio tour and family activity guides you can pick up. Also, the BMA holds Free Family Sunday events pretty much every Sunday afternoon. Upcoming events will give kids the chance to make paper crowns, sculpt animals, create a collage, and much more! Totsville Indoor Playground– This new and totally awesome indoor playspace is located in Glen Burnie, MD. There are a lot of great features for babies, toddlers, preschoolers, and grade school aged children. The best feature? The HUGE indoor sandbox! Crabtowne USA– Crabs and a huge video game arcade! Papermoon Diner– great food and fantastic opportunity to play I-Spy! The Board and Brew– Don’t be confused by the brew part.. there is a full restaurant menu and plenty of kids games. Artsy Partsy– Located in Pasadena, MD, Artsy Partsy is possibly the most fun art-related venue in Maryland. Artsy Partsy has Family Paint Night every Friday evening, drop in art activities most weekend afternoons, sewing classes, loads of art classes, special paint events, and more. Medieval Times Dinner Theater -Part performance, part sheer awesomeness. Tickets to Medieval Times will definitely wow your kids, especially if they like horses, huge turkey legs, and lots of noise (I would not recommend for kids with sensory issues). National Aquarium– This amazing aquarium is a bit pricey, but if you are looking for a nice way to treat your kids and educate them at the same time, they will be mesmerized here. There are hands-on touch pools, a HUGE tank which houses tons of marine wildlife, a dolphin habitat, and the super cool buy super spooky black tip reef (Sharks!). You can read my review of the Aquarium here. Steven F. Udvar-Hazy Center (Dulles Air and Space Museum)- Talk about HUGE! Ok, seriously… your kids, even your young kids, will be absolutely enthralled by a visit to this museum. It is a bit of a hike from the Baltimore area (about an hour on a Saturday morning), but totally worth it. Your kids will get to see a space shuttle, as well as hundreds of other airplanes. These hangars are enormous. To read my review click here. Badlands Playspace in Rockville, MD- This amazing indoor playspace opened earlier this year and it has consistently been jam-packed ever since. Why? Because there are so many super fun play features! Kids can climb a mountain, experiment with tools, use large scale building materials to nurture their budding engineering interest, and more! Read our review about why you absolutely have to visit here. Bounce Houses are a no-brainer for indoor fun. Get on the email list for these very popular bounce houses to be informed about when they have weekend open bounce availability. North Arundel Aquatic Center– If your kids are itching for the summer fun of pool play, why not take them to this indoor Water Park? Here is the catch– the North Arundel Aquatic Center does not allow swim diapers at all. Your kids have to be fully potty trained. So, this option is better for kids about age 3 and up. Other options for indoor waterpark play include the Splashdown Indoor Waterpark in Columbia, and the Germantown Indoor Swim Center . B&O Railroad Museum– Ok, I am just going to come out and say it. 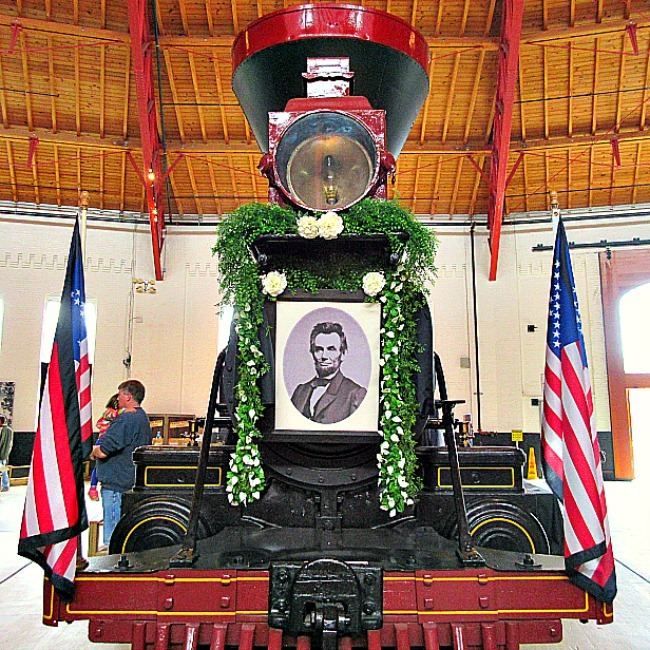 This is the PERFECT time to visit the B&O Railroad Museum in Baltimore. Forget about Thomas the Train. If you want to have a low stress, high fun experience with your kids, check out this great museum now. You can read more about the museum here. Also, on February 16 and 18, the museum will hold Pirate Days. Kiddie Crusoe– There are two locations for this amazingly kid-friendly indoor playground– Timonium and Belcamp. Indoor fun activities include a Kiddie City Play Arena, Inflatable Bounce Area, Ultimate Playset Arena, and Gaming Stations. Additionally, Monday and Tuesdays are specifically designed to cater to toddlers and preschoolers. Go Bowling With Your Kids!- I didn’t even consider this possibility until my 4-year old was invited to a birthday party at a bowling alley. Bowling alley’s can cater to younger kids, but you will have to check with the specific bowling alley near you. Some area bowling alley’s include: Greenway Bowl in Odenton, Brunswick Zone in Columbia and Ellicott City, Stoneleigh Lanes in Baltimore (Duck Pin Bowling), and AMF with locations in Timonium, Dundalk, College Park, Linthicum Heights, Laurel. Rollerskating– If your child is more preschool than toddler, rollerskating could also be a fun option. I have not been brave enough to try this with my daughter yet, but when I do I will likely go to Skate Zone in Crofton. Skate Zone has a special Tot Rock ‘n Roll public skating session every Monday from 10AM-12PM. It is designed for kids age 6 and under. The Original Playhouse Children’s Museum– I had not heard about this sweet little museum until recently. Now I can’t wait to take Sweet Pea to play here! The museum is not open for play on Saturdays, but it is open on Sunday afternoons. It features art, engineering, water play, nature play, pretend play, and reading areas. The Building Museum– There is a lot for young children to do at this DC museum. Young kids will really get into the Building Zone. Museum goers can also build an arch in the Amazing Arches exhibit, and can sign out Family Tool Kits with fun family activities. February 17th is their not-to-be-missed Family Engineering Day. We went last year and it was absolutely a blast! You can read my review of the museum here. Glen Echo Park- There are a few options for kid-friendly indoor fun at Glen Echo Park. You can see a show at their renowned Puppet Co. or at the awesome children’s Adventure Theatre. Upcoming shows at the Puppet Co. include Velveteen Rabbit, Rapunzel, and Cinderella. Upcoming shows at the Adventure Theatre include Huckleberry Finn, Winnie the Pooh, and The Cat in the Hat. 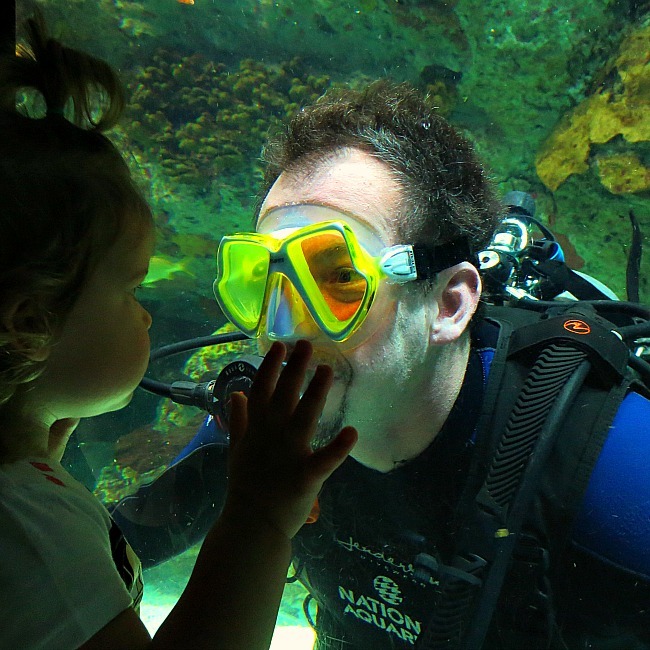 Don’t miss the Aquarium, which features touch tanks and other live animal exhibits. 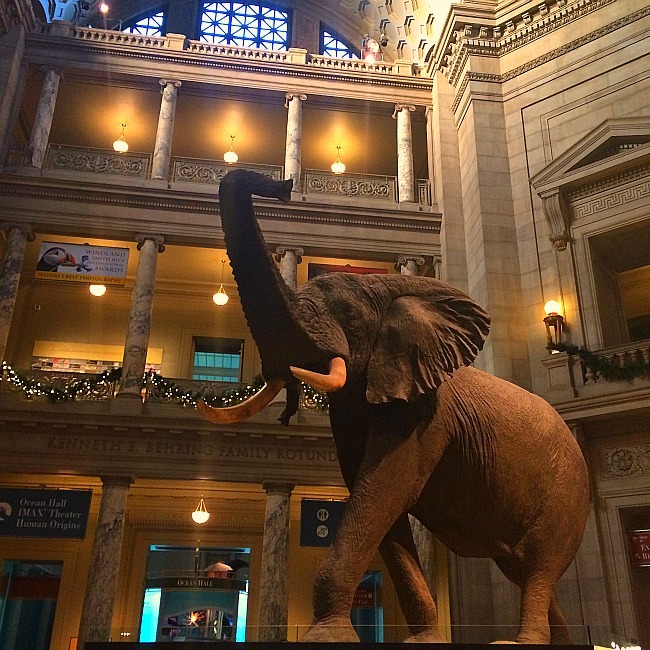 Natural History Museum– Out of all the Smithsonian museums on the National Mall, I think the Natural History Museum is the most fun for kids. It is worth a trip for the Hall of Mammals and Ocean Hall alone. Big news for 2019: The National Fossil Hall will open June 2019 (THIS YEAR!!!!). 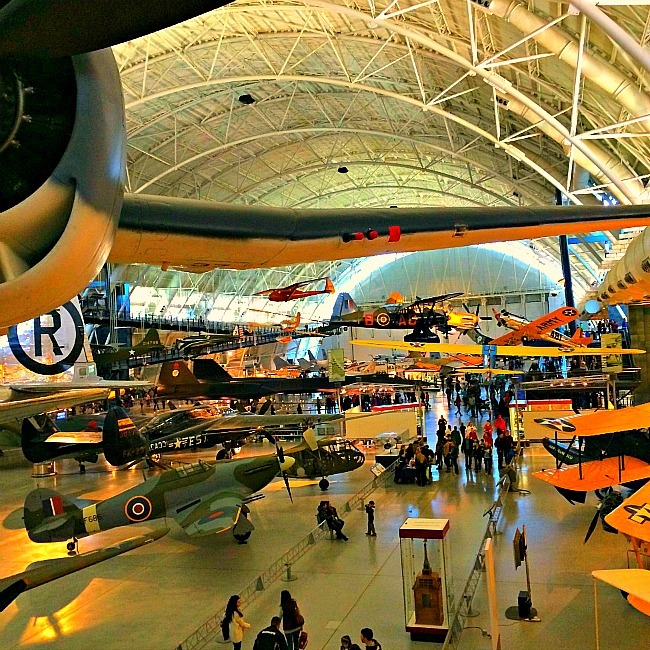 DC Air and Space Museum– If you are planning a trip to DC, you have to consider a trip to this great kid-friendly museum on the National Mall as well! It is smaller than the Air and Space Museum by the Dulles Airport, but it is completely full iconic American aerospace treasures. Busy Bees– I seriously cannot wait to take Sweet Pea to this indoor playground with locations in Falls Church, VA and Chevy Chase, MD. It looks like so much fun! I heard about it via a review from Capitol Momma. You can read her review here. Hyper Kidz– This indoor play space opened in February 2018 and it is utterly amazing (and crazy… but the name fits). If your kids have energy to burn this is THE place to burn it. We love this place and here is our review. Zava Zone– Another amazing indoor play space, more for older than younger kids.. although younger kids would have plenty to keep them busy too. There are high and low ropes courses, zipline, ninja warrior course, drop slide, pole walking, rock climbing walls and more. Riley’s Believe It Or Not– With Maryland locations in the Inner Harbor and Ocean City, this place is off the hook. It is really very funny and quirky and everything you would expect it to be. It is also super fun and would make a great filler activity if you are hanging out in Baltimore. The Swellness Center– This playspace is absolutely delightful. You pay a flat rate and your kids can just.. play! There are various centers and rooms dedicated to arts and crafts, pretend play, ride-on toys, dress-up, and building. Typically the Swellness Center hours are weekdays, but occasionally they hold special play events in the evenings or on weekends. Chuck E Cheeses– Don’t knock the mouse (not that mouse.. this mouse). Chuck E. Cheeses is great for early elementary aged kids because you can buy time and they get unlimited play on a wide variety of carnival type games, earning tickets the whole time. After you have played and had a few slices of pizza, your kids will love redeeming the coupons for treasures (cheap toys). Pretty fun place! Adventure Park USA– Don’t let the roller coaster fool you. Adventure Park USA has loads of indoor play options too. Indoor attractions include virtual reality, laser tag, ropes course, an arcade with over 100 games, a rock wall, and bumper cars. How could you go wrong with that? 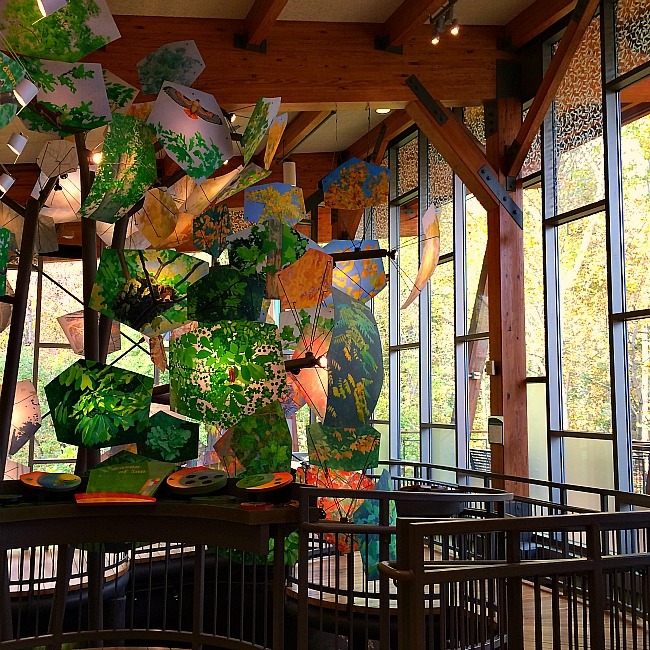 The Wiggle Room– The Wiggle Room opened in 2018 as well and it is perfect for younger kids. It is an all day, indoor play center located in Crofton, MD that is designed by parents for parents. 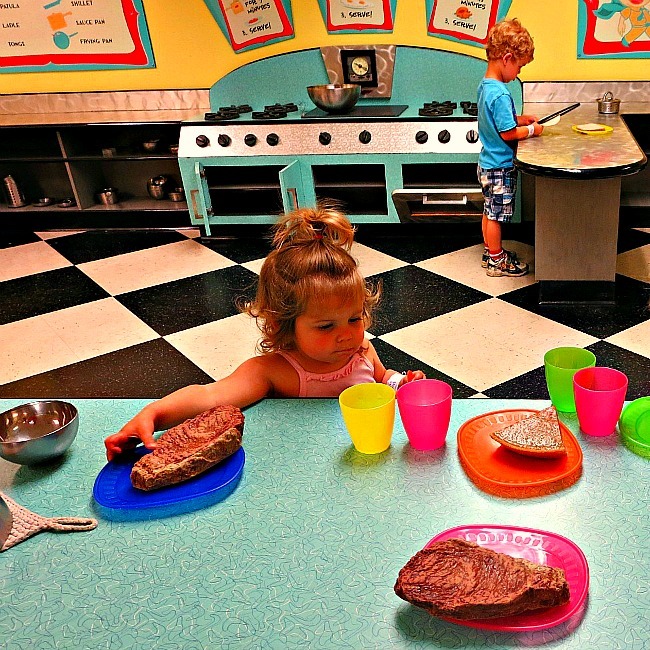 The Kid Museum– There are so many new indoor play options for Maryland this year. The Kid Museum is geared more for older kids, with tons of opportunities to design, invent, and build. 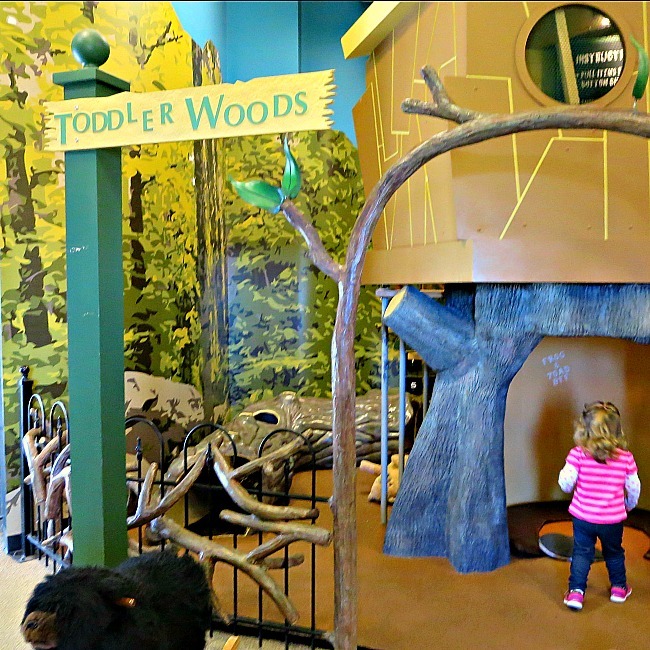 Stop, Drop, and Play Museum– Another newcomer to the indoor play scene! This lovely new play room in Damascus, MD features 20 exhibits for kids to learn through open play opportunities. Baltimore Museum of Industry– This place is great for all ages but tween and teens will get the most out of this gem at the Inner Harbor. The big draw for 2019 will continue to be the Video Game Wizard exhibit, where kids can actually try their hand at designing a video game. How cool is that? Climbzone– I have it on good authority that this place rocks! Not only that, but apparently there is plenty to do for kids of all ages and even relatively young kids (age 2 and up) can climb safely here. This is a popular destination and I would highly recommend making a reservation if you plan to play here. There are locations in Laurel and White Marsh. So, there you go! I hope you have a great time exploring all the fantastic indoor play areas in the Baltimore and DC area! And who knows, maybe there will be a snow day at some point as well. Hi there! The picture at the top of the post, with the little girl sliding down into a ball pit, where is that? Hi! Thanks for your question. I don’t know where that is.. It was a stock photo. 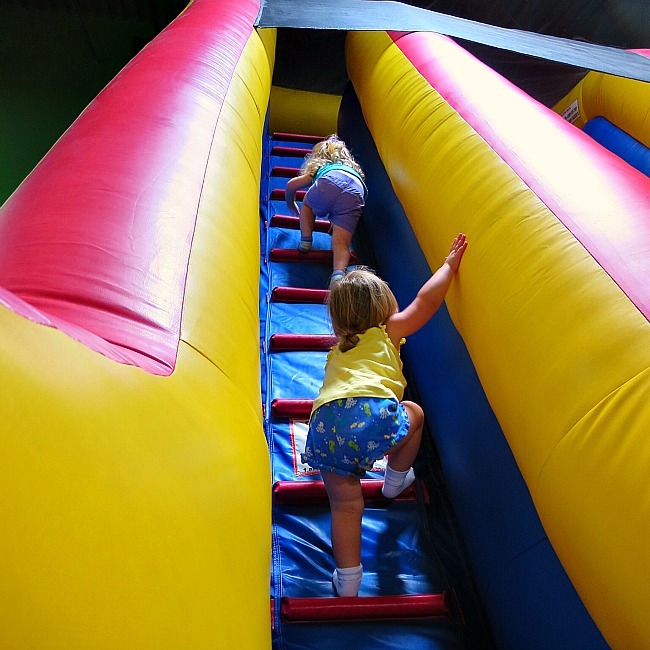 However, I think many bounce houses have similar set ups… Or someplace like My Gym. I am trying to remember if Pump it Up does… I know they have a ton of slides. Sorry I couldn’t be more helpful! You forgot to mention The Swellness Center in Columbia. A terrific indoor play place for 5yrs and under! Thank you for that tip! I actually heard about the Swellness Center right after I published this list and it does sound great! I wish it was open on the weekend so we could check it out! Kiddie Crusoe in Timonium and Belcamp MD should definitely be on this list! Oh, fantastic! Thank you for the tip! Those places look like they are so much fun. They should definitely be on this list! Thanks! The Play Room in Forest Hill is a must add to this list!! Oooh, thanks for the tip. I must check that one out! And Monkey joes in Germantown- clean and fun and no time limit! Oh, I didn’t know there was a Monkey Joe’s there. Thanks! You should add the Playdate Junction in Elkridge, MD! Great tip. Thanks! Do you know if they ever have open play on weekends or evenings? Or is it strictly a membership, during the week thing? Great ! Thank you for the tips. The Fire Museum of Maryland in Lutherville is a great place for indoor fun. The Museum is open every Saturday, year round. There are expanded hours in June, July, and August. Kids’ love the interactive Discovery Room. http://www.firemuseummd.org, 410-321-7500, x103. Oooh, I have heard great things about your museum. We really need to visit!